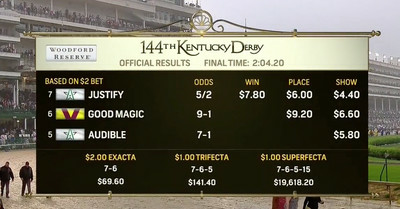 We have the payouts from the 2018 Kentucky Derby on Saturday, as well as other results. The 144th running of the Kentucky Derby is over, and we have the betting and payout results for Saturday’s Run for the Roses. Justify won the race, ahead of Good Magic and Audible. The Kentucky Derby carries a guaranteed purse of $ 2 million, with the winner guaranteed 62 percent of that ($ 1.24 million). So that amount is going to Justify and Justify’s owners. The total purse is split between the top five finishers, with the money going to the owners and with a portion paid to the jockey as well. With some horses having multiple ownership groups, where all the money goes is not always known, but that’s for the owners to figure out. Based on previous runnings of the Kentucky Derby, the payouts for second, third, fourth and fifth are usually around $ 400,000, $ 200,000, $ 100,000 and $ 60,000, respectively. The winning jockey gets about 10 percent of the winnings before it goes to the owner, but they also typically have an agent and other people to pay. The jockeys are getting paid, but not a ton. The winning horse will also make a whole lot of money for its owner from stud fees, which add up quite a bit over time. 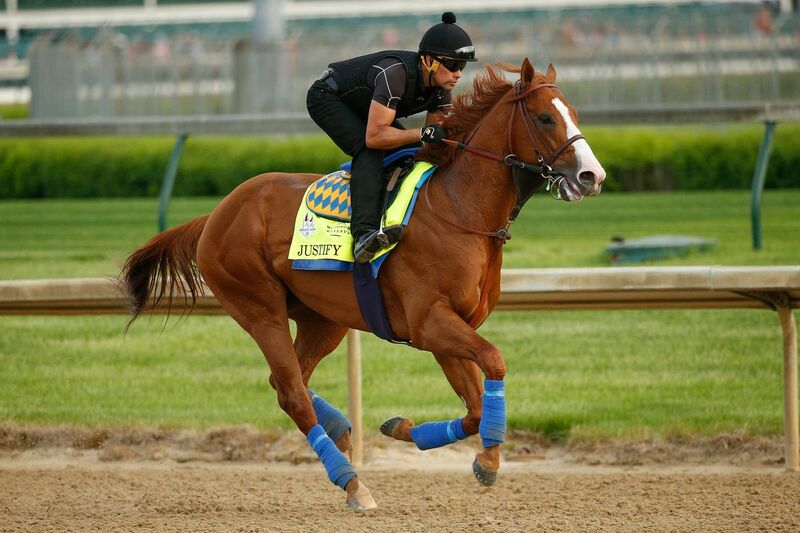 Throughout the pre-race process, Justify was the betting favorite, but not a heavy favorite by any means. My Boy Jack saw a lot of action on Derby Day, becoming the second-favorite behind Justify, then followed by the likes of Audible, Mendelssohn and others. If you managed to bet the superfecta, you’re looking at a nice $ 1 payout of $ 19,618.20. The $ 2 exacta pays $ 69.60, while the $ 1 trifecta pays $ 141.40. The win, place and show amounts can also be seen above.